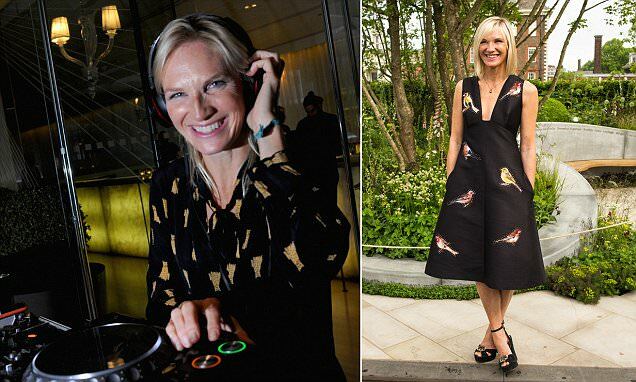 She's been on the airwaves for over two decades - and now Jo Whiley has revealed how her lengthy career has taken its toll, after being diagnosed with tinnitus. The Radio 2 DJ said she 'fears for her sanity' when waking up in the middle of the night to a whistling noise that 'won't go away'. The 52-year-old admitted that when 'you’re young you think you’re immortal', adding that risks to fans of exposure to loud music weren't known when she attended music concerts back in the day. Following her own experience, the mother-of-four is now urging young music fans to wear earplugs at gigs, as well as keeping the volume on their headphones turned down. Speaking to The Telegraph, Jo said: 'When you’re young you think you’re immortal. You come back from a gig with your ears ringing and it’s the sign of a great night.